Barford's one of the shops whose history is traced in an exhibition due to open on Saturday, March 24, about Uckfield High Street. 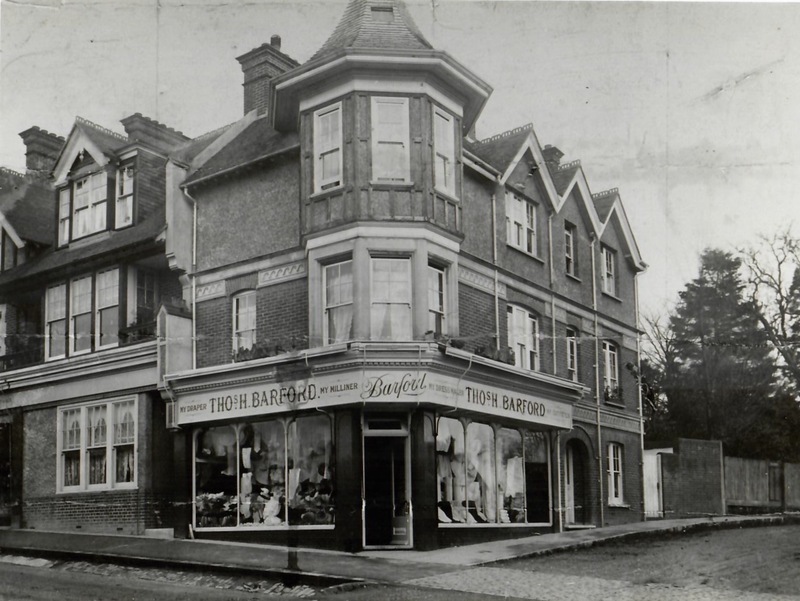 It turns out that the suitcase, which contained letters from World War 2 and Victorian school books, was linked with the Barford family who ran the Barford Clothing Store which traded in Uckfield High Street from 1899 to 1980 – and grew into a building now occupied by Josefina. 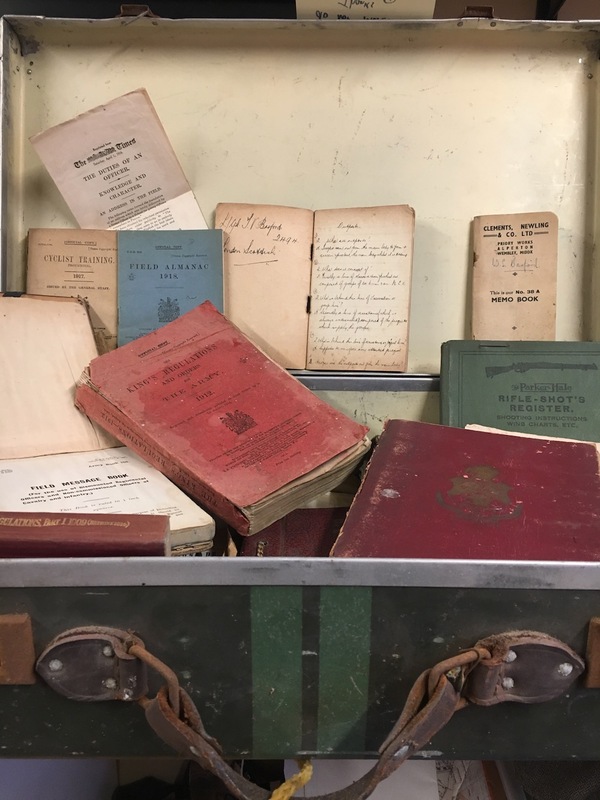 Items in the suitcase discovered in a loft – pictured with the case itself – which will be included in an exhibition about Uckfield High Street. Items from the case and the history of the store will be on display during the exhibition which opens at Bridge Cottage next Saturday, March 24, and will run for two weeks until Saturday, April 7. The suitcase was donated to Uckfield Preservation Society by Tony Gerrard and Susan Meadows who found it some time after moving into their house, Foscote, on Maresfield Park in 1978 which they bought from an elderly Mrs Barford. The couple kept the case safe in the hope they could one day reunite the contents with a descendant of the Barford family. Eventually Bridge Cottage Heritage Centre put out an appeal to the public to help trace the Barfords and there was a huge response. 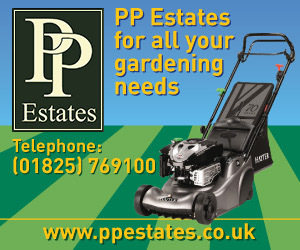 The link with Barford Clothing Store was made and the descendants of Thomas Valentine Barford were traced. 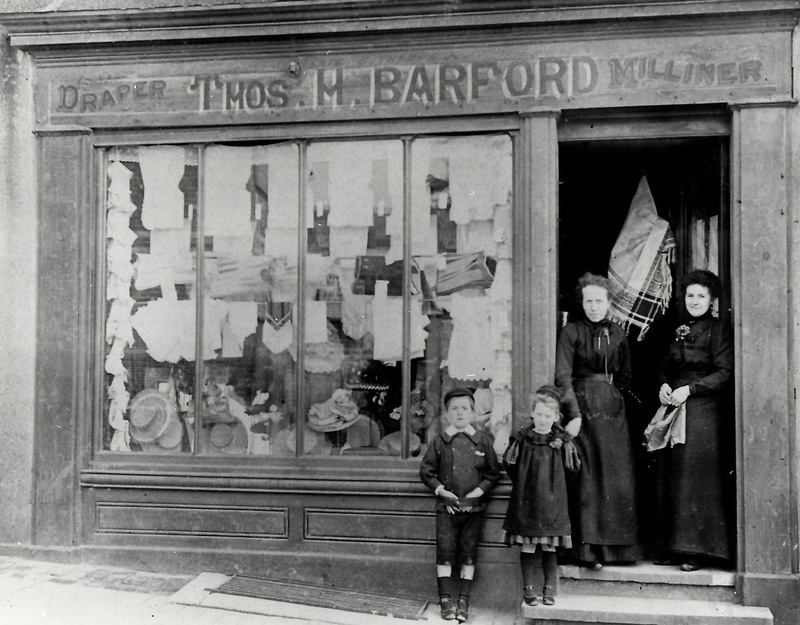 The first Barford’s shop at 184 High Street. In the picture are Thomas Valentine Barford – whose descendents have now been traced – his sister Jessie and his mother, who is pictured, left, in the doorway. Dr Maria Kirk, heritage education officer at Bridge Cottage said the shop was a mainstay of Uckfield High Street for much of the 20th century. The first Barford’s shop was at 184 High Street. Thomas Herbert Barford had bought it, for just over £300, in 1899 from Clanmorris Thompson, himself a draper and milliner. 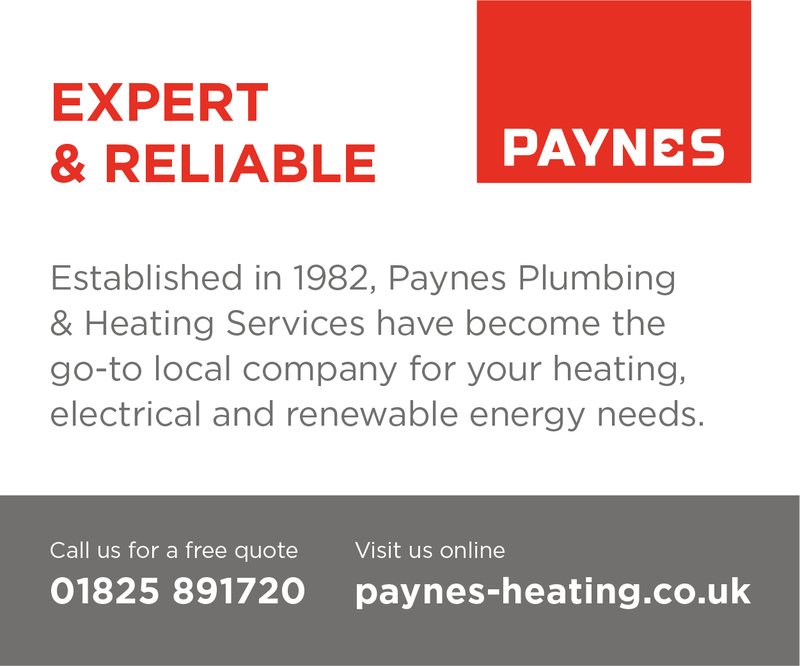 The business did well, and in 1907 the ladies’ outfitting department was moved to 146 High Street, on the north corner of Uckfield High Street and Grange Road – now occupied by Josefina. The men’s department stayed at the old shop until 1923 and then moved to 142 High Street. Number 146 later gained children’s and furnishing departments and until at least the 1960s the Barford family kept a ‘country round’ delivering clothes to an area stretching from Haywards Heath to Alfriston and Edenbridge to Lewes. As public transport links improved and personal car ownership became more commonplace customers from further afield were able to visit the shop themselves. This shop, which closed its doors for the last time in 1980, is just one of those whose history has been traced for the exhibition. 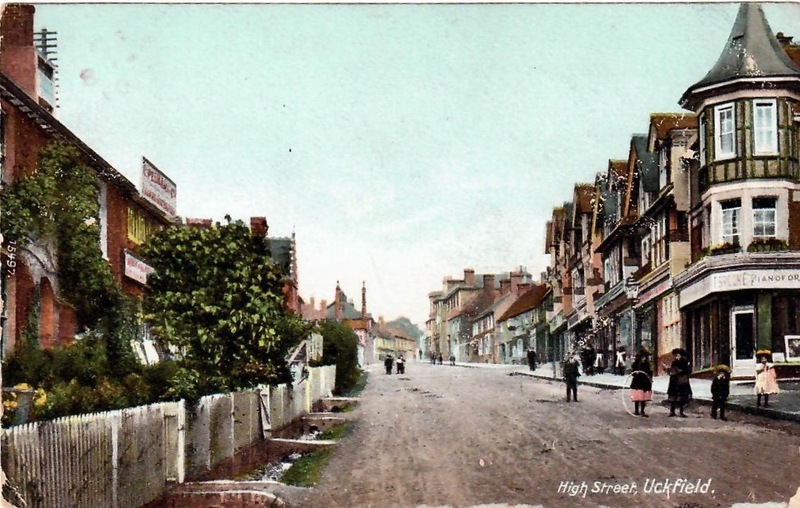 A view of Uckfield High Street – with Barford’s on the right – as shown on a postcard. A team of researchers led by curator Dr Kirk has brought together information from preservation society archives, and previous publications, along with newly discovered material. Maria urged people to visit and find images of iconic shops, along with information about medieval trade history, transport links, demolition and development. “There is so much history to uncover,” she said.